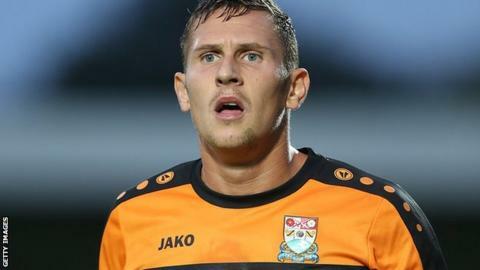 National League side Tranmere have signed Barnet striker Ben Tomlinson on a three-month loan deal. The 26-year-old, who can also play out wide, has had spells at Macclesfield, Alfreton, Lincoln and was on loan at Grimsby earlier this season. "Ben is someone I spoke to in the summer, so I'm delighted to finally get the chance to work with him," boss Gary Brabin told the club website. Tomlinson is available for Saturday's home game against Dover Athletic.